At PlayStation Meeting 2011 in Japan, Kazuo Hirai, President and Group CEO, SCEI, introduced the world to the newest addition to the PlayStation product family and the future of portable gaming: currently codenamed NGP (Next Generation Portable). 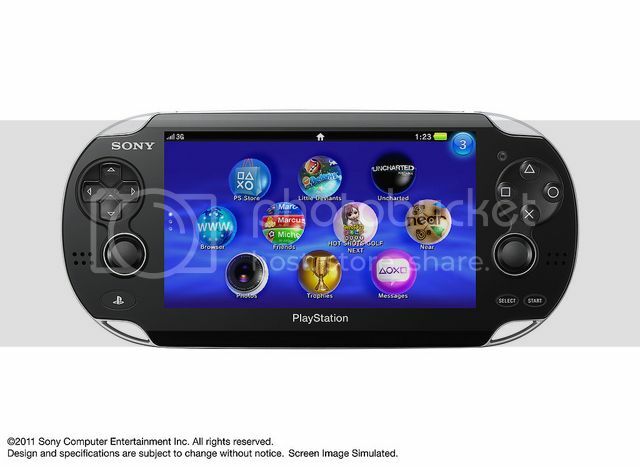 When PSP first launched in 2005 in North America it changed the way people thought of portable gaming and raised expectations in regards to the variety and quality of games users expected to access while on the go. It has since become the go-to handheld entertainment system for more than 64 million users who seek home entertainment quality games along with access to their music, movies, photos and more. With NGP we carry on this rich history of redefining industry standards and raising the bar for consumer expectations for what portable gaming can deliver. Designed to blur the lines between interactive entertainment and reality, the NGP will offer Wi-Fi and 3G network connectivity. The 5-inch OLED front multi-touch display will bring brilliant images to life and the multi-touch pad on the rear will allow users to engage with the game and characters with a simple movement of their fingertips. Additionally, services created specifically for NGP will be available on PlayStation Network. These services are designed help users take their gameplay, as well as interaction with other gamers, to new levels. While we here at PlayStation are thrilled to bring this cutting-edge technology to your fingertips, we all know that content is critical to the success for all of our platforms. I’m pleased to share that your favorite franchises will be coming to NGP, including Uncharted and Call of Duty. We are working with our extensive network of 3rd party developers and publishers as well as SCE Worldwide Studios to create experiences unlike anything else on the market. I think you will agree that the incredible momentum behind PlayStation continues to grow with each passing year. While 2010 was record breaking thanks to an unsurpassed line-up of award winning AAA software, the introduction of 3D entertainment into millions of homes and the launch of our incredibly successful PlayStation Move motion controller, 2011 is already shaping up to be one of our biggest years yet. Details such as release date, price, and more will be announced in due course. We’ll keep you updated. Our good friends over at LighTake got some new stuff in. 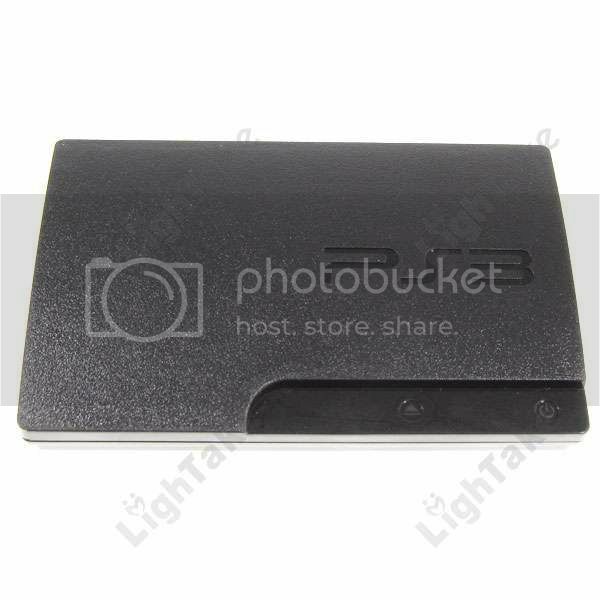 It's an external USB 2.0 hard drive enclosure, but is designed to look like a PS3 Slim console. It comes in three different colors (blue, white and black), handles 2.5" SATA hard drives and they each retail for $13.89. The Shogun Bros. Chameleon X-1 Mouse allows you to navigate around your PC with the ease of a laser pointed mouse. While also transforming instantly into a gamepad on the backside. 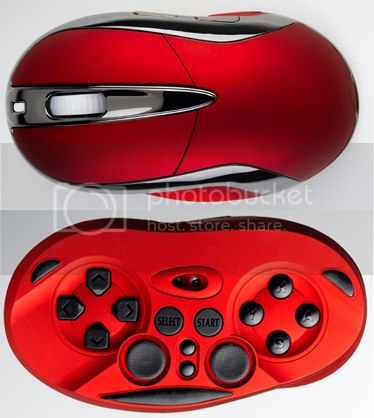 The mouse uses a 5-stage adjustable 1600dpi optical sensor with 125Hz polling rate which makes it a little outdated, but still capable. The unit is connect capable via USB dongle with 2.4GHz wireless capabilities. The gamepad features 14 buttons on the bottom and 7 on the top, while the unit claims to use force feedback. 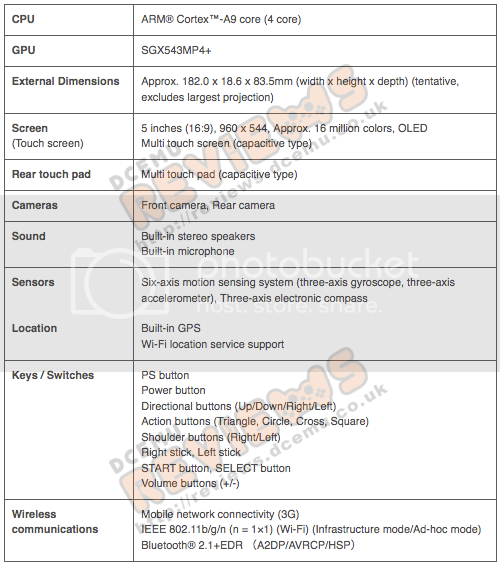 The Chameleon should be available in Q1 2011, for the suggested retail price of $55. Hermes, famous for his payload work, has released his first custom firmware (CFW) today. Unlike the other CFW's available, Hermes decided to release a CFW based off of 3.41 firmware. The firmware basically allows you to jailbreak your console on 3.41 without the need for a dongle, useful for those not planning to update to 3.55. We must stress this is still a beta release and when flashing a custom firmware there is always a chance of bricking. 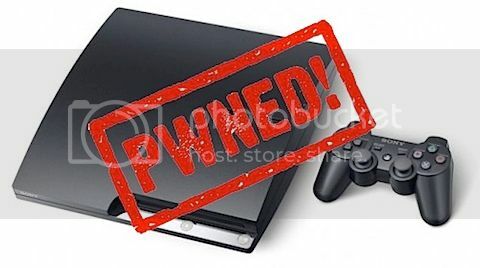 I am not responsible if this CFW brick you console: I have taken all possible precautions using SHA1 hash to avoid errors building the firmware, etc, and other problems (i include too my own patch utility to be sure you apply the patch correctly). Put original PS3UPDAT.PUP (3.41 v2) with patch.bat and run patch.bat. It must create CFW341_PS3UPDAT.PUP. Put CFW341_PS3UPDAT.PUP as PS3UPDAT.PUP in one pendrive (usb:/PS3/UPDATE/PS3UPDAT.PUP) and try toupdate normally from the device. With this options PS3 works with Homebrew signed (use make_self_npdrm in the EBOOT.BIN). NOTE: payload code is experimental. I need to work in the application and the payload to add news features. don't worry about the source code now: this is a beta test version yet, but the source code will soon available. 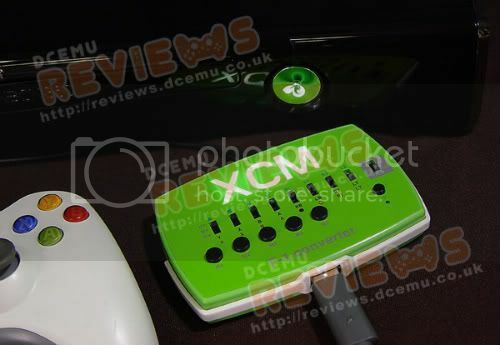 Having posted our exclusive news about XCM's new F-1 Converter, we now have the first beta test video for you! You can purchase this from Play-Asia. By now, we all know about Geohot's 3.55 Custom Firmware that enabled homebrew only. All have been waiting patiently for someone to incorporate the ability to play backups on 3.55 along with homebrew and playing on PSN. With Geohot and KaKaRoTo release of their 3.55 jailbreak, release of Root Keys, it was bound to happen and the flood gates have been opened. - Wutangrza's CFW is basically what flukes1 released it just has peek/poke enabled but you can't install PKG's. - Waninkoko's CFW is his own CFW that installs over Sony's Official Firmware (OFW) 3.55. - Geohot's CFW can be installed over the top on Wutangrza's CFW and allows you to install special signed PKG's. - kmeaw's CFW has peek/poke and allows you to bypass PKG checks, like how it used to work on 3.41. Therefore you don't need to sign stuff like Geohot's CFW. - kmeaw's lv2 patch is basically a simple PKG you need to launch before running any backup manager. It will patch lv2 and add syscalls in memory. They are removed once you power off. Safe and efficient! First run the PKG, then run the Backup Manager. When rebooting, you need to repeat the process...kind of like the jailbreak dongles. Some Backup Managers have even been updated to work on 3.55 CFW such as Multi-Man and GAIA Manager. Due to legal reasons, we will not be posting links to these Custom Firmwares as they contain Sony copyrights. There are plenty of sites to find more information about this. DO NOT post links to downloads. This post is basically for informational and news purposes only. We do not condone piracy. Nintendo 3DS Release Dates, Prices for Europe and U.S. Revealed. At Nintendo 3DS press conferences in New York and Amsterdam, Nintendo officially stated the release date and price of the Nintendo 3DS in the North America and Europe markets. Europe will get the device first, on March 25 at a price of roughly £229.99 and America will follow two days later on March 27 at an MSRP of $249.99. The European price point is officially open to interpretation by retailers. The system will launch in two colors, Aqua Blue and Cosmos Black. Nintendo streamed the event on their website, the same day they launched the official Nintendo 3DS section online. The 3DS launch site features in depth information about the system, featuring much of the information fans already knew about the system but a few minor details either unknown or unexpanded previously. The focus of the conference revolved around 3DS's unique communication features. The Street Pass feature received an in depth overview, including the reveal of a four color LED that will notify you whether friends are online and the current level of connectivity for your 3DS. The 3DS also features a revamped friend code system that should make playing and finding friends much easier than before, plus live viewing to watch friends play remotely. 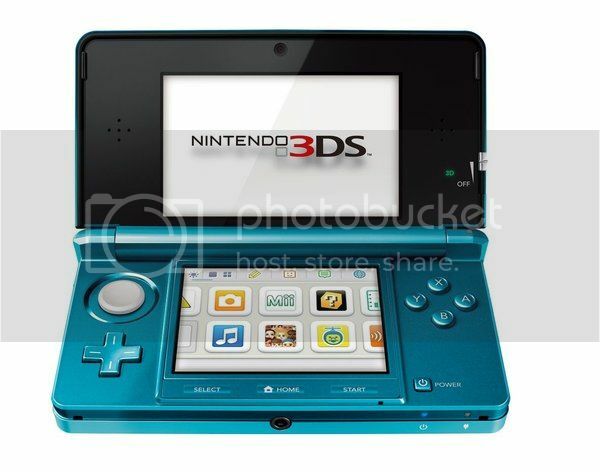 The 3DS also comes preloaded with software similar to the 3DS and Wii, including a home menu to easily navigate system functions. Other software includes a preloaded game Face Raiders, an activity log similar to the Wii Fit, an internet browser and e-shop, and picture editing software similar to the DSi. Pictures can even be imported to create Mii characters. The conference can be viewed at Nintendo's 3DS website along with a five minute virtual tour of the system and its features plus numerous videos showcasing launch titles, fan reaction and more. Nintendo also promises to tour Europe and America with interactive demos before the launch. Plenty of room to store all of your favorites from Live! Just dropping in the HDD into the Xbox 360 Slim is not stable as the HDD can wobble around inside the bay and may even damage the connections. If there is a way, there are accessories. Never count out 3rd party manufacturers. 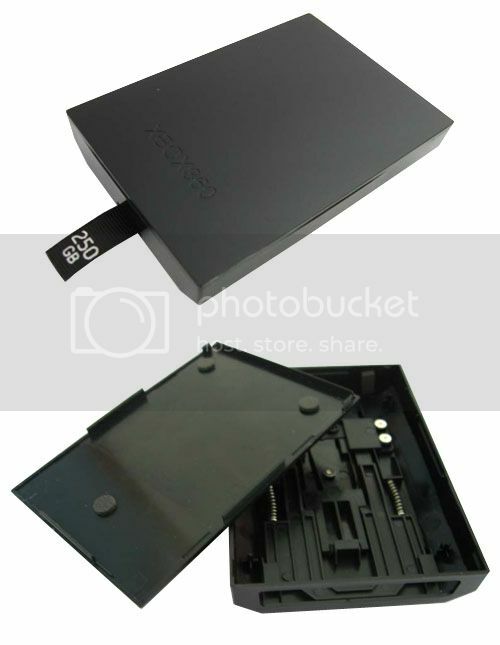 To help gamers fix the wobble issue and to provide a cheaper solution and alternative, there is the Xbox 360 Slim Hard Drive Case Shell. This allows you to use your own HDD or from an old Xbox 360 without the risk of damaging the HDD or Xbox 360 Slim console. The case is made of plastic. There are no screws to hold hard drive in place and no screws to hold case together. If you're using your own hard drive that you bought from a store or had laying around (it must be Western Digital 2.5"), you'll need to do more than just dropping the HDD into the Xbox 360 Slim. The new HDD will need to be formatted to work with the Xbox 360 Slim console using HDDHackr and a PC. - HDDHackr is made only for real MS-DOS, not for Windows Command Prompt or even Windows XP/Vista/7! HddHacker supports two flashing modes, Auto and Manual. Typing HddHackr at a DOS prompt will start auto mode. In auto mode all hard drives will be detected automatically. In manual mode you can enter all the parameters used for flashing by hand. Connect an *original* Xbox360 HDD to your SATA controller. Make sure it is the only SATA device that is connected. Now run 'HDDHACKR D [PORT] A0 HDDSS.BIN' and it will create the file 'HDDSS.BIN' and save it to the path you've started HddHacker from. In auto-mode the Partition 0/2/3 will be created automaticly to make the drive compatible with "Xplorer360" and XBOX360 Console. In manual-mode you have to type 'HDDHACKR C [PORT] A0'. Type 'HDDHACKR F [PORT] A0 HDDSS.BIN UNDO.BIN' from the same path you have saved the HDDSS.BIN file to. This will create an 'UNDO.BIN' file that you need if you want to undo the hack and flash your firmware back to the original state. If you don't want to use your modded WD HDD in your XBOX360 anymore and you want to flash it back to its original size/state, then you can now do so. Boot to MS-DOS and run 'HDDHACKR R [PORT] A0 UNDO.BIN'. This will use the UNDO.BIN file you created before to restore the drive to its original state. You can now remove the metal plate. All that is left is to slide the hard drive out. 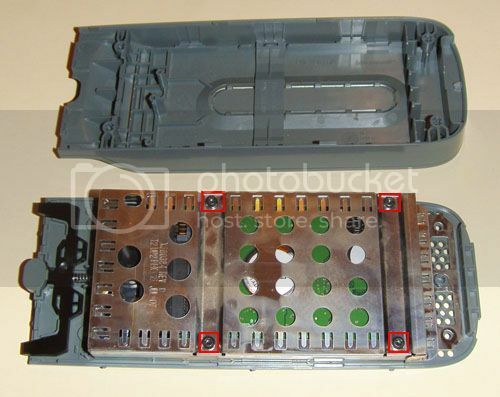 To insert the new Xbox 360 Slim HDD Case, simple remove the bottom grille plate from the bottom of the Xbox 360. Pulling this plate back will reveal the hard drive bay. Simply insert the new hard drive case into the bay and push it in until you hear a click. This click will let you know that the HDD is in place and connected to the Xbox 360 Slim. Just make sure that he ribbon is facing out. This allows you to grab and pull out the hard drive when you need to. 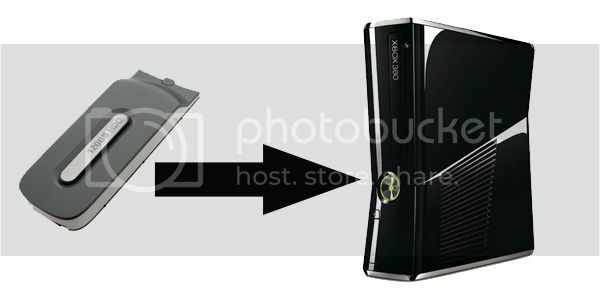 Once you format a new hard drive using HDDHackr or removed the hard drive from your old Xbox 360 hard drive, you can insert it into the Xbox 360 Slim HDD case. Simply place the HDD inside the case and snap the cover to the case. Since there are no screws to hold the HDD in place, you can get some double sided mounting tape and cut off two small rectangle pieces and place it on the inside of the case to prevent the HDD from moving. Once the cover is snapped on, its fit snuggly and will not easily come off. When inserting the hard drive into the Xbox 360 Slim, the connector goes in first. Once inserted, push down on the hard drive until you here it click. The tab on the hard drive shell case allows you to easily remove the hard drive when needed. Conclusion : Overall, the Xbox 360 Slim Hard Drive Case Shell is a must have for those planning to take their old Xbox 360 hard drive or their own and placing it into the Xbox 360 Slim. The case gives support for the HDD and fits perfectly into the Xbox 360 Slim. Even if you purchase a pre-installed aftermarket 250GB Xbox 360 Slim HDD, you're only paying $57. That's more than half the price of what Microsoft would charge you for their Official 250GB hard drive. What I have noticed in our video was that a lot of people have asked if this would void your warranty and would you get banned. Lets start with the warranty concern. You will NOT void your warranty on your Xbox 360 Slim. 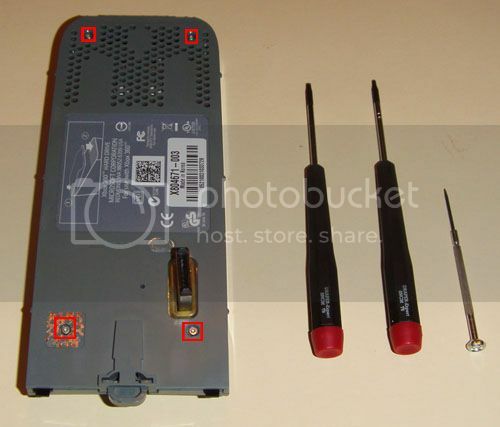 If your Xbox 360 Slim fails and needs to be sent to MS to be repaired, simply remove the HDD. Nothing is permanent and MS won't know it was installed. The only warranty you will void however is your old Xbox 360 hard drive. There is a screw behind the warranty sticker so this would need to be removed or punctured to get to it. If you're going to use your old hard drive, you probably don't care by now as the warranty has probably expired. As for being banned, you will NOT get banned. There is no hacking or cheating involved and no change the Xbox 360 firmware/dashboard. You're simply increasing storage space. The concept is the same as buying Microsoft's own 250GB hard drive just that you're using own you and more work is required. With the case of the old Xbox 360 hard drive, just think of it as putting it in a new case. So do not be afraid. For those who missed it or do not have the channel G4, you can view the 5 min interview below discussing jailbreaking the PS3 and the lawsuit against him by Sony Computer Entertainment America (SCEA).